Life hacks for moms make parenting easier! From stain-removers to quieting noisy kids toys, Life hacks have been passed from mom to mom for generations! Sweatpants / sweatshirts string come out in the dryer? – Take a paperclip and tie one end of the string around the end of the paper clip into a knot. Then, feed the paper clip through the draw string hole of the garment, pushing it through as you scrunch the material with the draw string following easily behind, attached to the paperclip. Either that, or prevent loose drawstrings altogether by tying them in a big bow before you toss them in the washer or dryer. Baby-proofing your home – tips from an expert! Using baby wipes for household cleaning – even cars! How to Unclog Your Drain – 3 Alka Seltzer Tablets and 1 Cup of White Vinegar. Be careful on stone surfaces in your sink though! How to Fix A Stuck Zipper – Use Orange Glo Wood Cleaner & Polish to loosen it – works better than candle wax. How to make a rice sock for an upset stomach – safer for kids than hot water bottles and makes a great heating pad scarf! Try InVinceable for a carpet stain remover when OxiClean won’t cut it. Use sunflower seed oil as a natural teeth-whitening solution. It really works! Speaking of teeth-whitening life hacks for moms… Have you heard about Dental Duty Toothbrite charcoal powder? WOW! If all else fails… Red wine cures everything! What are you favorite life hacks for moms? 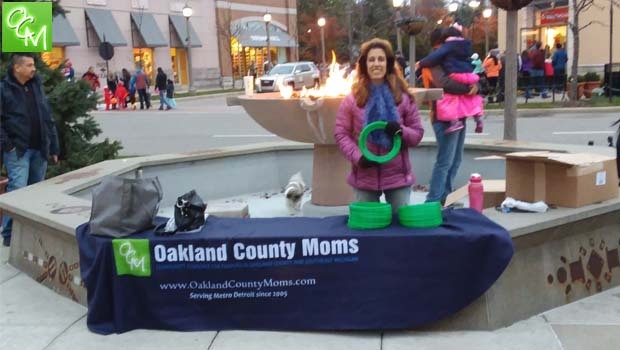 Submit some to lisa@oaklandcountymoms.com, put LIFE HACKS FOR MOMS in the subject line, and I’ll include them on this page in the future.